You have landed on the best page for the latest IHOP menu prices! IHOP (International House of Pancakes) is a multinational pancake house and casual dining restaurant based in the US serving breakfast favorites and lunch & dinner items. IHOP offers an affordable dining experience with a side of warm and friendly service. Along with their fixed menu items, IHOP also offers a selection of seasonal food specials, such as the ALL YOU CAN EAT Pancake offer. Stay in the know of all things IHOP through various social media platforms. Diners are encouraged to share their favorite IHOP experiences by posting pictures on Pinterest, Facebook, Instagram, or Snapchat. Below are the latest IHOP menu prices. Curious about what new dishes are available? What is the latest featured menu special? Check out the website often for the latest updates. 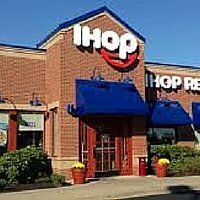 IHOP hours for many locations are from 7:00 am to 10:00 pm. Be sure to check your favorite IHOP location for exact hours. Want to make someone smile? Give them an IHOP gift card! They are a delicious way to show your love and appreciation. IHOP makes it easy to give the gift of a great breakfast. You can choose a design and send a plastic card via postal service or if you are looking for a last minute gift, you send a digital card to the recipient’s email inbox instantaneously. No this was not a historical event in America’s past. But it is a movement for pancake lovers! Membership just takes a few minutes and is free. In return, you will enjoy benefits all year long. Like a free breakfast just for joining. How about a free full stack of pancakes on your birthday? Need any more convincing? Trying to figure out the number of calories & saturated fat in a stack of chocolate chip pancakes is not easy. IHOP makes it simple by offering a detailed guide to nutritional information for all their menu items. For guests with food allergies, IHOP is committed to the safety of diners and works diligently to ensure that current allergen information is available. The IHOP website includes an allergen info page for their menu items. Be sure to check it out before you head to IHOP. IHOP is famous for the place to go to start your day. Why not start your new career ta IHOP as well? Visit the IHOP career page on their official website and learn about the different opportunities available locally and at their corporate support center. IHOP offers a training program, competitive compensation package & benefits, and room for advancement. IHOP is committed to making a difference in the communities it operates and as a corporate citizen. IHOP focuses its efforts on 3 main areas-Supporting local communities, valuing its employees, and doing its part to care for the environment. IHOP sponsors local and national events. IHOP also participates in and sponsors a one-day event to benefit children’s hospitals. Be sure to participate in IHOP’s National Pancake Day. For more information about IHOP, visit their official website. Are IHOP “to go” containers microwavable? IHOP “to go” containers vary by store, but they are typically made to be easily transferred from your home storage directly to your microwave. They are not made for oven reheating. While the company does not release their specific recipes we were able to get some details on ingredients used in their pancakes by studying their allergen and nutritional information. The original recipe pancakes do include milk products, eggs, soy, wheat, and other glutens. Full details on the dietary contents can be found the IHOP website. What’s the Story of how IHOP started? The first IHOP was established in 1958 by Al Lapin, Jerry Lapin, and Albert Kallis, in Toluca Lake, Los Angeles, California. The idea was to open a place where friends and family could meet for coffee and breakfast. What started as a breakfast spot, IHOP eventually introduced lunch and dinner items. Today IHOP has over 1,650 locations scattered throughout the United States, Canada and certain parts of the world. IHOP is a subsidiary of parent company Dine Equity and headquartered in Glendale, California. I agree with Manuel. It seems like all of the prices are in the 7.00 + , 8.00+ and 9.00+. It used to be more reasonable. I had an omlette at IHOP in Banning Ca. last January, with coffee. Cost me just under $25 total for that breakfast. You’ll never see me again. try the cinna-stack. sooo good!!! Save your money, not what it once was. Just called … iHop “endless pot” coffee price: $2.49 per person! … as of 6/12/2014. where are the beverage prices? THIS PLACE IS WAY TO EXPENSIVE. Dennys and Cracker Barrel.. the quality of Cracker Barrel is way better than IHOP!! Plus you get free biscuits and corn bread!They have all you can drink coffee for 2.19 and they have turkey bacon and sausage! IHOP’s prices are way too expensive for a breakfast place; thinking they can charge equivalent prices as they would were their menu served at Applebee’s (since they are owned by the same company) is price gouging, no matter how many “coupons” they offer. Their menu is limited. I bought a breakfast for one and was disappointed by the portion offered so ordered a biscuit as a side (the waitress didn’t know what one of those was). That experience cost nearly $20 (tip included). Please save your money unless you really don’t care if your cat eats this month. I was given an IHOP gift card for my birthday and it’s much too expensive for the portions given at breakfast, several diners in my area serve much bigger portions for half the price! Won’t return. Problem, NOT included on the IHOP prices 2016 the price of “endless pot” of Coffee, no meal is complete with out Coffee or Tea!! We went to Ihop to night. We are seniors. Roast beef has ben taken of the menu. And the senior menu has changed. We went to I hop often but we wont be going back any more. unhappy customer. Prices may vary at certain locations, Be sure to check with your local IHOP if you have any questions. there are no bargains any way – it is corporate owned and food is terrible, period! No Way at those prices. Food is not worthy. Save your money – hit your local diner and get some good food at a fair price. No t looking for free, but tasty and fair would be nice. RIP OFF!!!! 9.00 dollars for a plain waffle at my San Clemente store! Denny’s has them for 7 ….way more reasonable! I am interested in trying out our local ihop and signing up for the email however I’m unable to. I’m from the UK and was wondering what is the pancake\bread thing they serve you with a meal called? You people must be crazy!! IHOP has huge freakin portions!! The meals I’ve had there last me 2 days usually! As far as prices are concerned, they could be a touch less but the dollar isn’t what it used to be so cut them a little slack. Plus I believe their employees get benefits so…yay I’m getting my Sunday breakfast there today!! TOO EXPENSIVE…….Pancakes, bacon and milk……$14.95!!!!!! Plus I am a senior! Did you ask for the 55 Plus Prices? Obviously not, Knuckle head! If you all don’t like IHOP? Stop the Complaining and Whining already and never go there again! More Food and Service for me and more room to stretch out! I ate at an ihop in hurst, texas just this morning. I paid 8.99 for a spinage mushroom omlette. your prices online are two dollars higher. Is ihop cheaper on Texas? “B” stunt and lower your prices. I feel that IHOP over priced me on my order. I feel that if you order your food your bread should be free . I paid a $1.69 for a order of toast. The cost of my order alone should included the toast. The coffee sucked , it was not even fresh made. On the star scale I would give IHOP a -5.